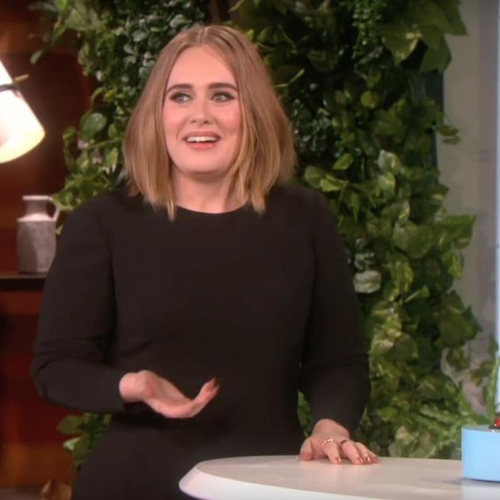 WATCH: Adele's Told Ellen What She Names Her Naughty Parts! She's a pretty classy lady... That is until she appears on Ellen DeGeneres' talk show. The American host got Adele to share some pretty juicy secrets... LIKE WHAT SHE CALLS HER DOWNSTAIRS! We know Adele can sing. That much is obvious, but there's a few things you may not know about her. Like how the 'When We Were Young' singer names her lady parts a "pizza"... We kinda wanna make a joke here, but we just love Adele too damn much! Ellen got Adele playing her '5 Second Rule' game and we never thought we'd say this but we kinda love her even more now.